It’s time for a fresh release! Here’s what’s in it (and some notes about 2.6.1 because I didn’t blog about it). Items with price ranges (ebay UK only?) weren’t handled well. 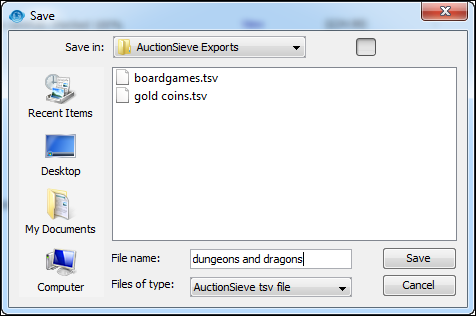 I’ve made AuctionSieve display the lowest value. Only retrieves items where you can make an offer. Note also that you can middle-click on a tab to close it. Lastly, to keep you informed on eBay issues and other news, I’ve created a Latest News feature you’ll see next time you run AuctionSieve. 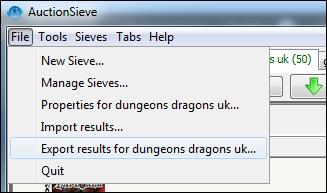 In addition, all links in dialog boxes are now click-able. I hope you enjoy all these new features!